Memorial Day weekend is the unofficial start of summer to me, even though it doesn’t officially start until June 20. Once that glorious 3-day weekend starts, all of my thoughts go to summer activities I’ve been itching to do since it got cold last year. Usually, I’m able to get all the summer basics in before September. Stuff like heading to the beach, eating outside, grilling as much as possible, and going on summer night walks. But, every year, there seems to be some summer staple I miss out on doing because I don’t think about it until too late. To start me off on the right foot, I thought of a list of things I absolutely want to make sure Dan and I get to do before the weather turns cold again. 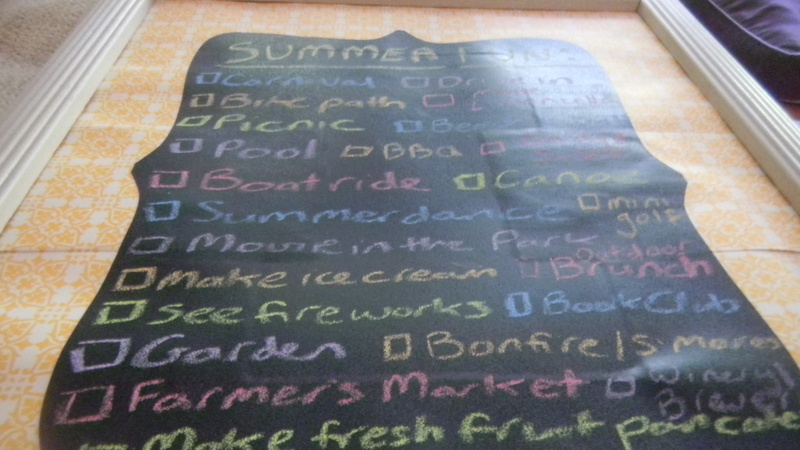 To remind us, I wrote out these “summer goals” onto a chalkboard I’m going to place in our entryway, where we’ll get a reminder every day. I came up with this list thinking of past summer favorites while keeping the list more adult. In looking for inspiration online, I saw a ton of ideas of summer goals for families with kids, but obviously, that doesn’t apply here, even though I would like to learn how to make play doh some day. 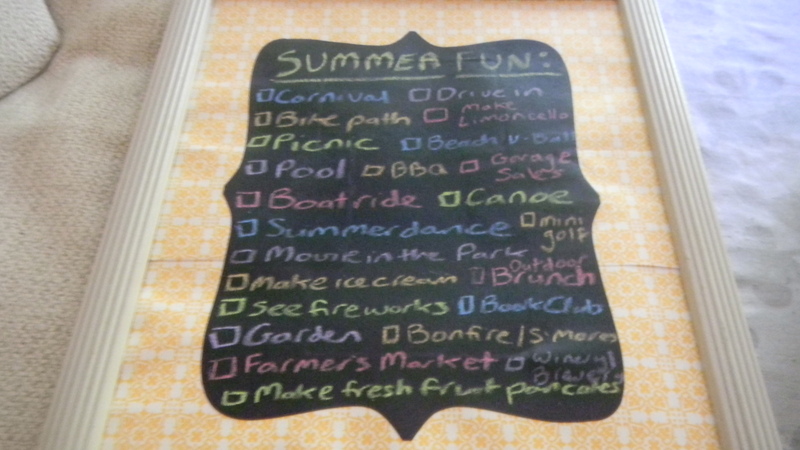 Hopefully, I’ll be able to start checking items off the list this coming long weekend! 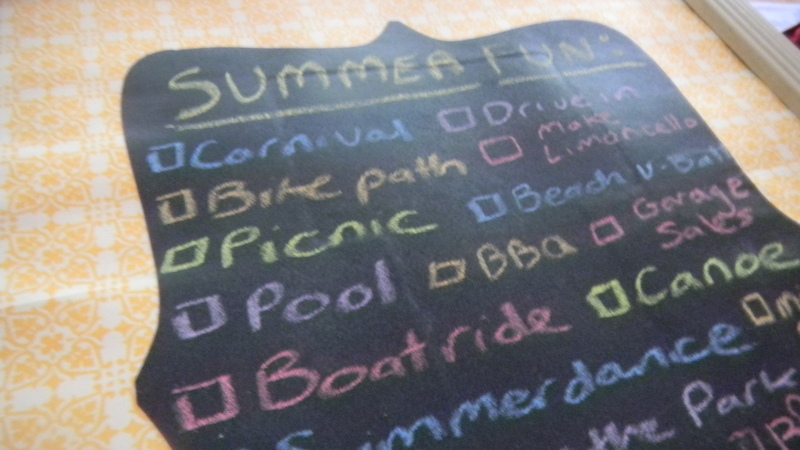 What things are you excited to do this summer? That would be great! I’m looking forward to spending time with the family this summer!